Want something fun to do while your garden is sleeping this winter? How about signing up for Project Feeder Watch? If you live in North America, you can participate in collecting data that helps scientists determine changes in bird distribution and abundance. This is a great way to teach your kids about scientific data collection and bird identification. 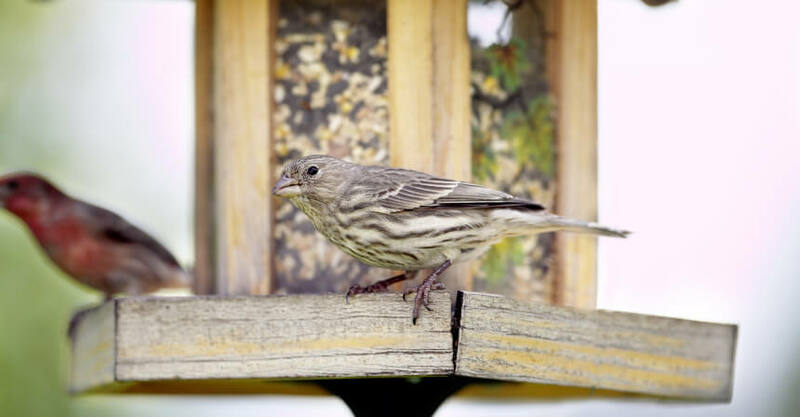 You just need some bird feeders, seed, and to sign up. Project Feeder Watch is a joint project of the Cornell Lab of Ornithology and Bird Studies Canada. 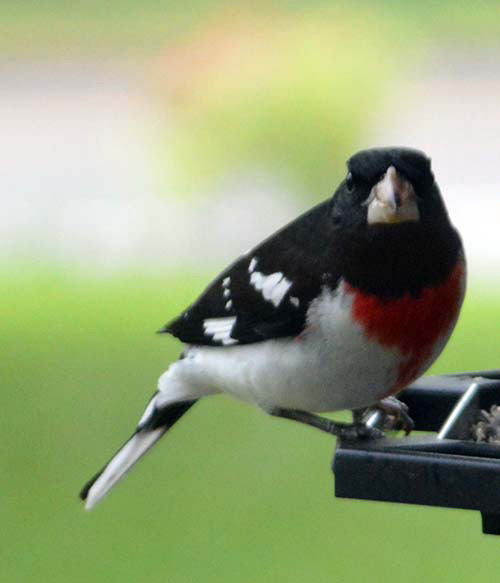 The data is published in multiple scientific and popular publications and can help scientists understand population trends, the spread of disease at feeders, expansion or contraction of winter ranges, foods that attract different birds, and more. This project monitors more than 100 North American bird species. Reporting for Project FeederWatch is done from early November through April. Go to http://feederwatch.org and click the “Join Now” button in the middle of the page. There is a $15 annual fee (or CAN$35) to participate. The fee helps cover the website costs, materials, data analysis, and staff for the project. When you sign up you will receive a research kit that you can use to collect your data. You provide the feeders and bird food. You will also be signed up for either a monthly or quarterly newsletter. Be able to see the entire area from one spot (like a window). One that has food, cover, and water is great! Pick two consecutive days each week that you will count birds. Count days must be separated by at least 5 days in between. If you miss a count every once in a while, that’s OK.
On your selected count days, count birds that actually come to your feeders or shrubs or water you have provided. Don’t count birds that just fly over the area. Also count any predator species that are attracted to your count site because of birds at the feeder. Use the tally sheet form your research kit. Report the highest number of each species seen in the entire two day period. Also report and sick or injured birds. Don’t keep track of birds of any birds for any other days – only during your two consecutive count days. Record the high and low temperatures for each count day as well as about how much time you spent watching the birds. Go to the Project Feeder Watch website and click on “data entry.” Follow the instructions for entering your data. Thanks for bringing attention to this important citizen science project. The more participants the project has, the better the quality of data. Plus, it is absolutely one of my favorite citizen science activities. Dorothy, thanks for stopping by! I think this is also a great project for families to do together. It’s a great way to teach kids about scientific data collection as well as bird identification. A great project. I only wish I had feeders. I seem to feed the birds with the native plants in my garden. I do have one suet feeder.